﻿ Book Grandparent's Home (Ayutthaya) - 2019 PRICES FROM A$19! Have a question for Grandparent's Home? Located in the lovely area of Tha Wa Su Kri, Grandparent's Home enjoys a commanding position in the culture, sightseeing, religious interests hub of Ayutthaya. From here, guests can enjoy easy access to all that the lively city has to offer. For sightseeing options and local attractions, one need not look far as the hotel enjoys close proximity to Thai Boat Museum, Wat Mahthat, Ayutthaya Historical Park. Offering hotel guests superior services and a broad range of amenities, Grandparent's Home is committed to ensuring that your stay is as comfortable as possible. Free Wi-Fi in all rooms, luggage storage, Wi-Fi in public areas, car park, restaurant are just a few of the facilities that set Grandparent's Home apart from other hotels in the city. Guests can choose from 20 rooms, all of which exude an atmosphere of total peace and harmony. The hotel offers many unique recreational opportunities such as garden. When you are looking for comfortable and convenient accommodations in Ayutthaya, make Grandparent's Home your home away from home. Pros - huge room for the cost, fridge air con, hot shower and huge bed! Location was perfect for the Wats! 2 main ones just across the road! Very quiet! Cafe at front that did breakfasts and lovely coffee! Kept our bags after checkout until 9pm and we also had a free shower to freshen us for overnight bus to Chiang mai! Cons - vety basic but hey for the price wouldn’t have expected anything else! Also it does seem to go quiet when it’s dark but that suited is fine! The simple basic room provided all that was needed for a short two night stay. Bed was comfortable, air-con workweek and the shower had hot water. Staff were very helpful but English is limited but not a problem. Great location and cheap . Ok if you want more luxury I’m sure you can find it and of course pay for it . Would definitely go back. Such a nice people and really great place to stay. Room was clean and comfortable. We ended walking from the main train station, using boat for 5B to get us over the river. It was not dark or scary at all, recommended if you are on budget and don't have too much heavy luggage. After check out, the lady was nice enough to let us take shower for free. Close to the hotel is also night market, were we found awesome mango juice place only for 20B at the end. 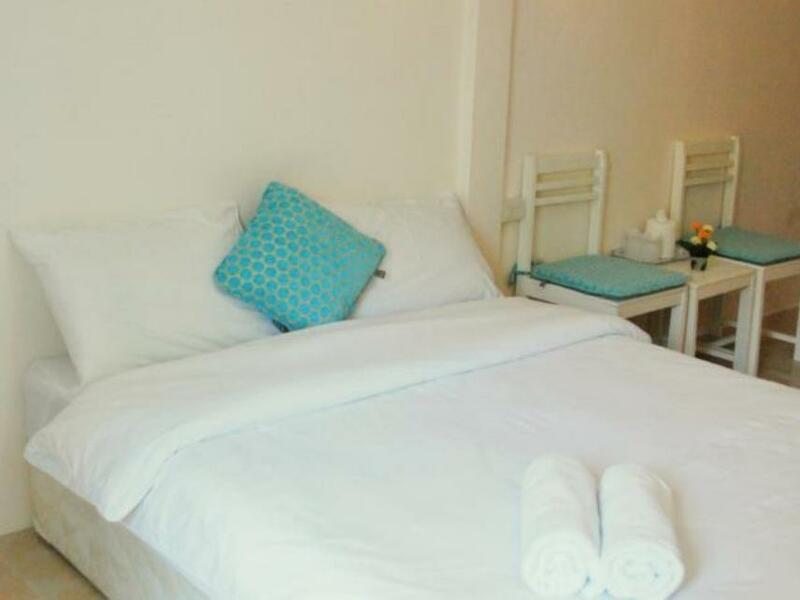 Excellent location within short walking distance of many temples and the night market. The staff were friendly and they let us leave our bags in reception whilst we cycled around for the day. Rooms were a nice size, clean and had good air con. Definitely would recommend especially with the cheap price! Very basic rooms but clean though. Location is very good, very near to ancient ruins and night market as well. Have a beautiful cafe outside, serving thai and some western dishes which was yummmmmmy. A night pub/club just opposite of property. In short, a good place to stay for a night or two in ayutthaya. After arriving on the train at 5am we caught the boat across the moat and walked to the Grandparent's Home. I wouldn't recommend doing this in the heat of the day but it wasn't too bad first thing in the morning. We sat outside at a table until a woman arrived around 7am and she let us check in early which we really appreciated (I booked before we arrived). We were able to shower, nap and drop off our stuff before exploring the city. The location is good - close to bicycle rentals, wats and a few cheap eats. The room was clean and had a fridge which is always a treat for cold water. I recommend staying here! This hotel is one of the good budget hotels at Ayutthaya. It's located near Wat Mahathat and Wat Ratchaburana, only 5 mins walking. Hotel room also clean, especially bathroom, and the staff are friendly as well. Cafe is at the front of hotel, so if you are starving, just walk to the front from your room, all convenient. Good price and worth it. Came by train for a 1 night stop, wanted to see the ruins and got to see a lot of them due to the location being so close. Staff at the hotel are friendly and very helpful. Not far from 7/11 and only 100baht to train station by tuk tuk from 7/11. Well worth a quick day stop or even two. For the price it was a very decent sized room and it was clean, no complaints. It’s in a good location, walkable distance to everything and on a quieter street than a lot of guesthouses. The main guy at reception is really lovely and helpful. The restaurant is pretty decent but even the non spicy green curry is super spicy so watch out for that if you don’t like spicy food! Basic, but nice rooms on backside of cafe and restaurant, so very quiet. AC at this rate is not a matter of course. Very clean place and helpful staff. Good opportunities to book tours, tuktuks or rent bikes or motorcycle. Food in front cafe couldn't be better. All in all absolutely recommended for a 1- or 2-night sightseeing stay. Definitely go for it! To someone who not really care about luxury, this place is worth your money. The hotel us near to famous temples in Ayuttaya, the closest one is 350meter. The cafe shop in the front is really good. And is quite cheap. Traveling with 6 months old baby. Room , pillow and bed were clean First Got upper level room, issue with the toilet, not flush well. Change another room ground floor, toilet flush well but not re-fill water again, with little touch, water was re fill but no stop- leaking out (better than no flush well) toilet looks dirty with many mould spot. Only a staff spoke English but everyone were friendly. Cafe outside served nice desert. Besides toilet everything was ok! Good place to stay at. Very good location. Comfortable, quiet room and excellent service received from the staff. Room for improvement: water heater did not seem to work in my room, which was not a major issue considering the heat that prevails in Ayutthaya, and the television set was probably also inherited from the grandparent's home long time back. Rooms were clean and big. Bathroom not new, but ok. Roomservice on demand, but free water at every time. Breakfast was good to very good, but is not included. The rstaurant was not open, because there was a festival. The day they opened, we enjoyed a very good meal! There are bicycles available at a moderat price. The personal was simply great! Good location between the town center (4 blocks east), the historical park (1 block west), and the night market (2 blocks south). Room was very clean. Bathroom was not quite as spotless, but still clean. Decor was a little quirky, but fits in with the name of the place. Staff was friendly. I really enjoyed staying here. I would stay here again. OK price, location, near night market. Third time to Ayutthaya, third stay at Grandparent's Home. Location is great - near to temples, near to bus station, near to night market. Staff are courteous, room is comfortable, even the dogs are friendly. I recommend this guesthouse (and Ayutthaya in general) highly.